↑ Kahn, Mattie (August 12, 2014). "When Norm Macdonald Met Robin Williams - 'The Funniest Man in The World'". ABC News. Archived from the original on 2014-08-13. Retrieved 2014-10-19. ↑ Raab, Lauren; Parker, Ryan; Loomis, Nicky (August 11, 2014). 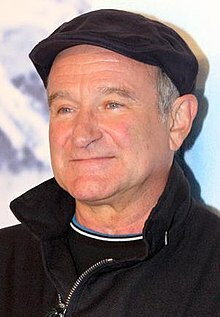 "Robin Williams, 'funniest man alive,' dead at 63". The Bradenton Herald. Los Angeles Times. Archived from the original on 2014-10-19. Retrieved 2014-10-19.